“God is not to be judged of by man’s wisdom. He has a way of his own. But one thing is certain, delay of answer is no denial; and the woman who lies at Christ’s feet in tears, where faith put her, shall yet be glad that she lay there. If you can not rejoice in the answer as you seek God, keep seeking, and the answer is sure; it may be swelling in sweetness and magnitude as it delays. The woman’s power to persevere in prayer was itself part of her answer. It was grace which Christ bestowed upon her, while he did not appear to be bestowing anything. 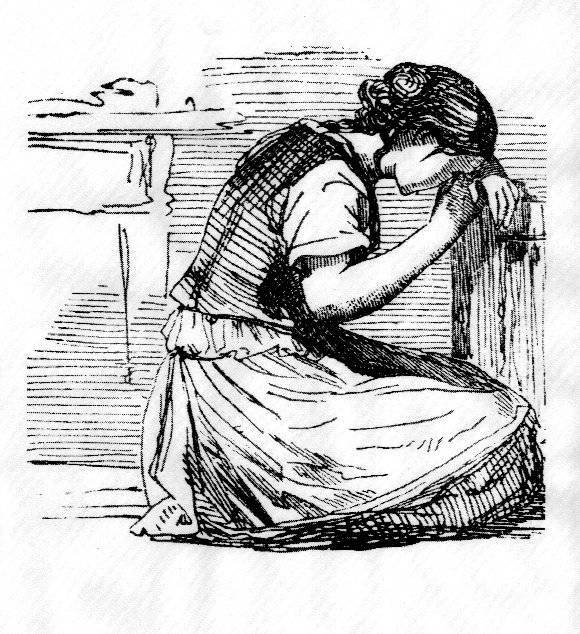 Consequently her prayer becomes the more earnest and humble as she waits and pleads for an answer. Sometimes when a desired blessing comes at once the soul is rather injured than benefited by it. Prayer languishes, and the sense of dependence melts away, and the soul wanders off from God. At other times the answer is delayed, and then faith is stirred upon the soul, and the individual cries like the Psalmist: My soul followeth hard after thee. As the hart panteth for the water-brooks, so panteth my soul after thee, O God. It is one of the marks of true prayer where the heart is quickened, and will not be discouraged or dispirited by delayed answer. While this heart stricken woman was holding on to her purpose and refusing to give back, perhaps, indeed probably it never entered into her heart that her Lord was strengthening her just to pray. She probably felt just as any of you would, or as many of you have, when in the time of your trouble you have not obtained your request, but have not ceased to solicit. Your felt unanswered – not satisfied – not happy. Oh, you did not know that the grace to persevere in that prayer was the very richest answer you could have. You knew it only afterward. And you could remember it then with such a vividness and belief in the power of prayer as you never could have had, if your answer had come as soon as you opened your lips to supplicate. Rev M. Sherwood, The Bunyan of Brooklyn: the Life and Practical Sermons of Ichabod Spencer, (Birmingham: Solid Ground Books, 2004), 243-245.
what an excellent truth this is, our finite minds and restless hearts are so different than that of the Lord God; He is all-wise and knows when and how to answer us. We desire answers right away, but He keeps us on our knees and coming back by not giving us what we ask for as soon as we ask. How His wisdom far exceeds man’s! Thank you dear sister for this wonderful post, you are a blessing from God to His own! Amen. I think just being able to rest in the Truth that He is Sovereign and at work in all the things we cannot control is a great freedom. “my thoughts are not your thoughts, neither are your ways my ways” (Is 55:8). Thank you, as always, for your visits. Your reverence & fear of God is an inspiration to me.